Functional Nutrition addresses the underlying root causes of symptoms and disease. Functional nutrition embraces both conventional and complementary therapies to health and healing. It’s a “Whole” or Holistic Approach to Health and Disease — looking at whole body systems, the body and spirit as a whole, and the body as it relates and connects to its whole environment and ecology. 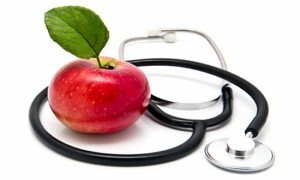 “Food as Medicine,” is one of the primary aspects of Functional Nutrition. This includes whole-food therapies and targeted dietary supplements. Functional Nutrition addresses the underlying causes of disease. It focuses on the root of the problem and utilizes therapies and lifestyle changes to help the body get back into a state of wellness, balance and social and emotional harmony. Functional Nutrition incorporates therapies that support the body’s natural healing processes. It supports the body to heal, rather than attempting to mask problematic symptoms. Functional Nutrition addresses the fundamental aspects of health which are often ignored, especially when dealing with chronic diseases that affect our quality of life. Each person’s lifestyle, environmental factors, emotional well-being, spirituality, and social supports factor into nutrition assessments and personalized treatment modalities, as do their genetic profile or predisposition, triggers, and mediators. well-researched relevant SNPs (or genetic variations), particularly in the methylation pathway. I strongly believe in Functional Nutrition. As a Registered Dietitian Nutritionist, my goal is to help improve people’s well-being through a Whole Food Diet, Targeted Supplements and Lifestyle Enhancements.